Skype for Windows 5.0 has been announced, with integrated Facebook news feed and phonebook and an overhauled user interface. The popular online communications platform is keen to keep growing and is hoping that the integration of social networking from Facebook will enhance its offering. The new Skype for Windows also brings a 'revitalised' look for its familiar video and audio calls and instant messaging and – crucially - the much vaunted group video calling (in open beta). "The Facebook integration makes Skype even more social," explains Skype. "For the first time Skype users can keep up-to-date and interact with their Facebook News Feed, including posting status updates, commenting, and liking, directly from Skype. "Even better, the Facebook Phonebook in Skype allows users to call and SMS their Facebook friends directly on their mobile phones and landlines with just a few clicks. "If your Facebook friend is also a Skype contact, you can make a free Skype-to-Skype call." 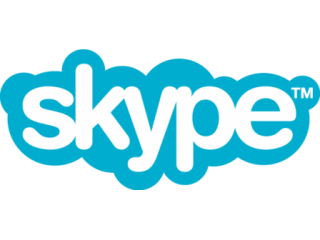 According to Skype – 40 per cent of all Skype to Skype minutes in the first half of 2010 were video calls – and the arrival of group calls could well increase that. You can download Skype for Windows 5.0 from http://www.skype.com.